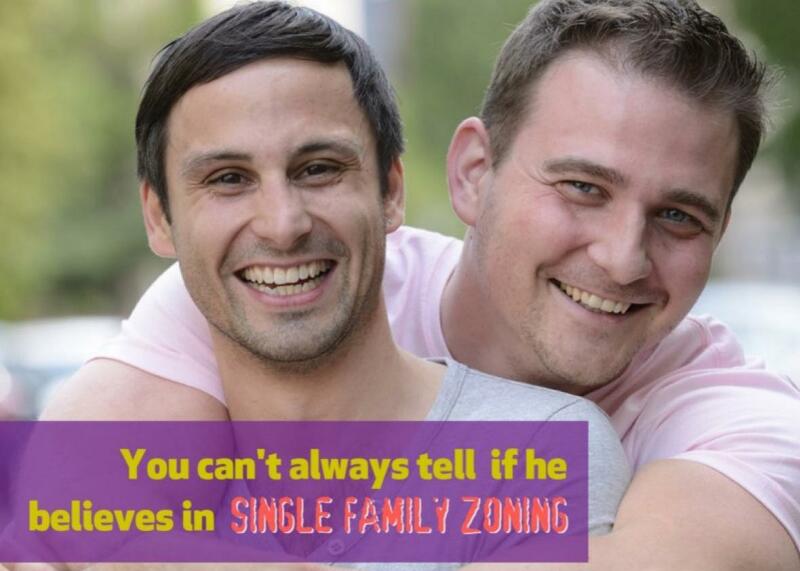 “Talk to Your Friends About Zoning”: A PSA Campaign for Your NIMBY Neighbors. Let’s have a laugh at those hapless millennials, shall we? Half of them seem to live with their parents—and the other half couldn’t live without them! 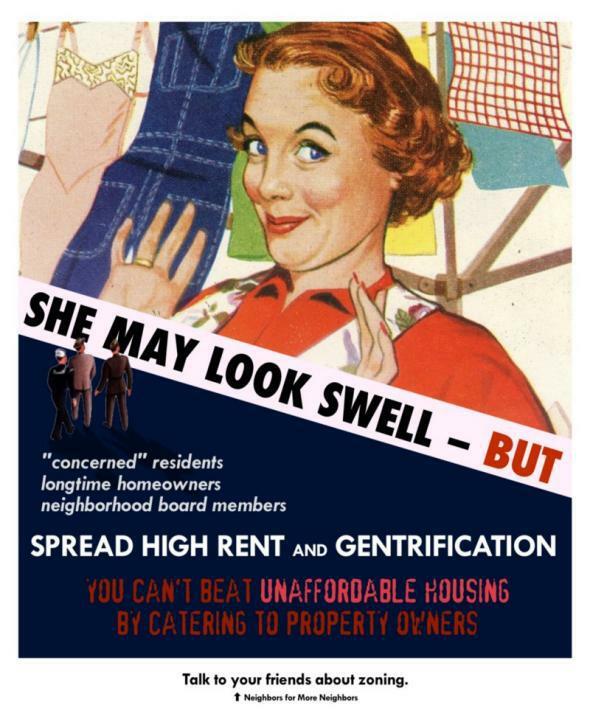 It’s a classic case of a seemingly innocuous attitude that, perpetuated over and over again in hundreds of different meetings and across residential neighborhoods, has worked to effectively constrain the housing supply, endowing one generation with a windfall in home values and dooming the next to a lifetime of rent payments. 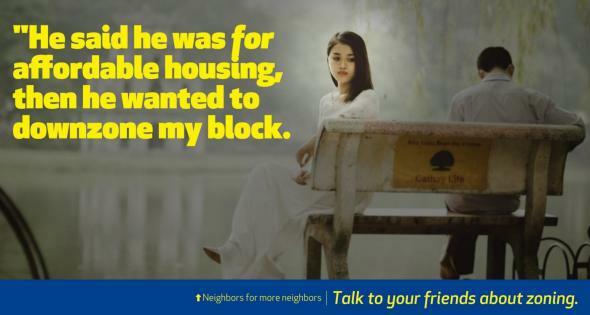 And so it’s perfect fodder for a cheeky public-service campaign, “Neighbors for More Neighbors,” launched by Ryan Johnson and John Edwards of Minneapolis. Their posters, in a sendup of the square, hectoring style of PSAs, offer a humorous reminder of those pernicious acts of NIMBYism that surround us.